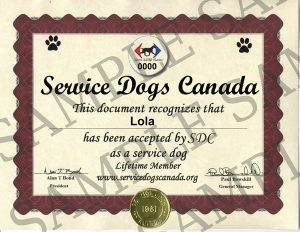 Comes with a vest with embroidered Service Dog Patches; (1) Personalized Wallet card, (1) personalized metal collar tag and a 40 page booklet of information on how to work with your dog in public. Weight of your dog in lbs, This helps us advise you on appropriate vest size. 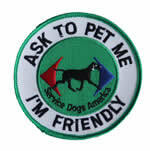 Embroidered service dog patch "Please Don't Pet Me - I'm Working"
Extensions Are Available At No Charge. 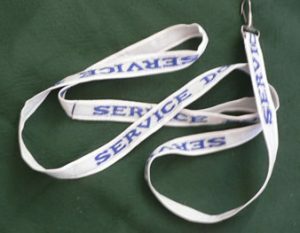 Add optional patches, leash, collar/harness to your kit or order extra tags and identification.